Lambing is the main event this spring for our farm manager. Forget digital diaries and high-tech planners. When you are the farming manager of the National Museum of Rural Life just one event looms large each spring. Lambing. Ritchie Young will be in charge of an anticipated 160 lambs due to be born to 110 ewes over the coming weeks. And the star attractions will arrive in their own good time no matter what the weather is doing – or who is watching. “The biggest event in spring on our farm is always lambing,” said Ritchie. Spring lambs at the National Museum of Rural Life, East Kilbride © Ruth Armstrong Photography. 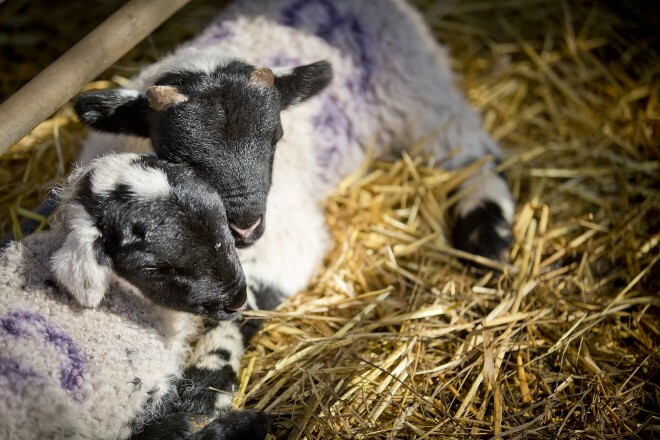 While lambing dominates the farming diary in the spring, the miracle of life can’t be scheduled for visiting times only, warns Ritchie. 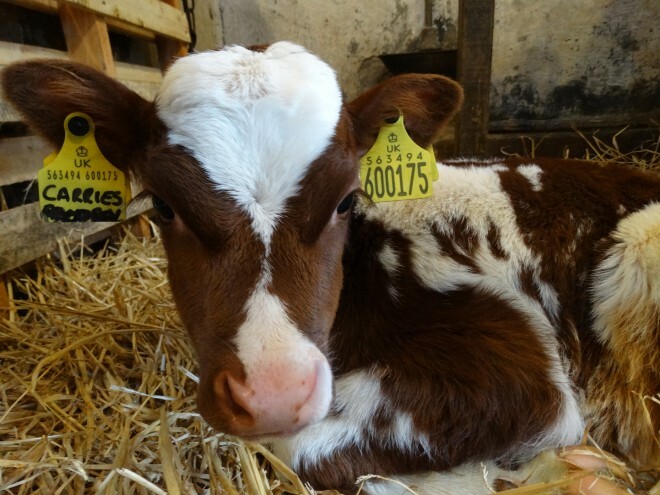 Springtime Ayrshire calf at the National Museum of Rural Life, East Kilbride. 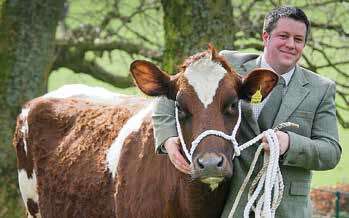 Brought up on a farm near Stewarton, Ayrshire, Ritchie has lived and breathed farming all his life. As a farm manager in charge of Aberdeen Angus cattle, Tamworth pigs, Ayrshire cows, black-faced sheep and Mairi, a 16-year-old Clydesdale horse, he needs to stay emotionally detached. 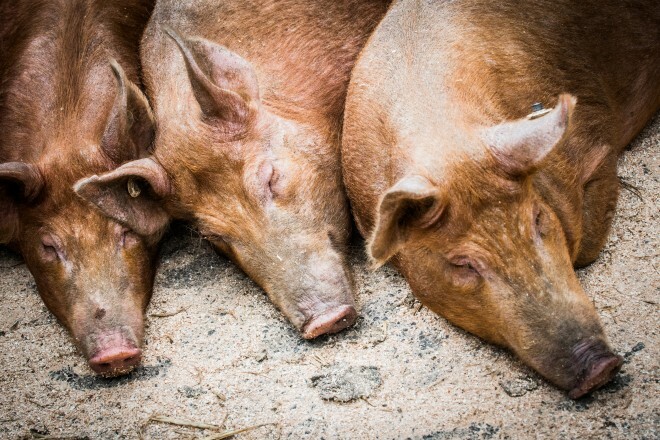 Tamworth pigs on the farm at National Museum of Rural Life, East Kilbride. 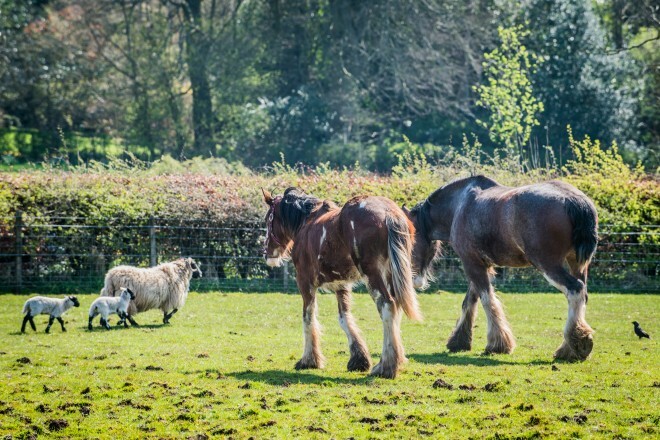 Clydesdales and sheep in the fields at National Museum of Rural Life, East Kilbride. You can visit the 1950s working farm at National Museum of Rural Life, East Kilbride throughout the year. Discover more about the spring happenings for yourself or attend one of our seasonal events. Find the National Museum of Rural Life at Wester Kittochside, Philipshill Road, East Kilbride, G76 9HR Tel: 0300 123 6789. If you found this post interesting there’s a good chance that your friends and colleagues will also, so do share. Roll on up for the Country Fair!